This is why watching C-SPAN is becoming the cool thing to do. More and more people are tuning in to C-SPAN because C-SPAN broadcasts political events from start to finish without commentary. Viewers of C-SPAN can actually watch what is going on and make their own decisions! C-SPAN will Broadcast Herman Cain – Newt Gingrich Debate in Houston on Saturday November 5th, 2011 from 7:00 PM - 8:30 PM. There is a Herman Cain – Newt Gingrich debate in The Woodlands, TX that is being hosted by the Texas Tea Party Patriots PAC. C-SPAN will be broadcasting this important Cain – Gingrich Debate this Saturday. C-SPAN does not care about being able to put a spin on things. C-SPAN sees a debate between two of the top 4 Republican Presidential Candidates and C-SPAN wants America to be able to see it. The idea that unbiased, public information cannot be available to America without funding NPR is just silly. My case in point is C-SPAN. Did you know that C-SPAN is COMPLETELY privately funded and does not get a dime from the Taxpayer or the Government. Yep, pretty shocking isn’t it? I bet most people thought that the government funded C-SPAN. After all, unbiased, public information networks could never survive without the government right? TexasGOPvote.com is a great Republican Website with all kinds of news, political information and blogs. TexasGOPVote will have bloggers at this debate. One thing that really excited us bloggers was that the event was picked up by C-SPAN and all Americans will be able to watch this debate in its entirety! Leading up to this debate, I had a chance to talk with the Communications Director for C-SPAN, Howard Mortman. C-SPAN has a public service mission to cover an event entirely from start to finish without providing commentary. 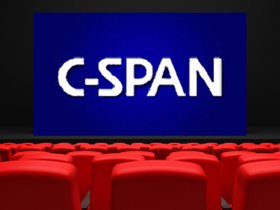 According to a 2009 C-SPAN survey, C-SPAN's viewers found that the network's most-valued attribute was its balanced programming. The survey's respondents were a mixed group, with 31 percent describing themselves as "liberal," while 28 percent described themselves as "conservative", and the survey found that C-SPAN viewers are an equal mix of men and women across all age groups. In 2010, NPR revenues totaled $180 million, with the bulk of revenues coming from programming fees, grants from foundations or business entities, contributions and sponsorships.According to the 2009 financial statement, about 50% of NPR revenues come from the fees it charges member stations for programming and distribution charges. Typically, NPR member stations receive funds through on-air pledge drives, corporate underwriting, state and local governments, educational institutions, and the federally funded Corporation for Public Broadcasting In 2009, member stations derived 6% of their revenue from federal, state and local government funding, 10% of their revenue from CPB grants, and 14% of their revenue from universities. While NPR does not receive any direct federal funding, it does receive a small number of competitive grants from CPB and federal agencies like the Department of Education and the Department of Commerce. This funding amounts to approximately 2% of NPRâ€™s overall revenues. During the 1970s and early 1980s, the majority of NPR funding came from the federal government. Steps were taken during the 1980s to completely wean NPR from government support, but the 1983 funding crisis forced the network to make immediate changes. Now more money to fund the NPR network is raised from listeners, charitable foundations and corporations instead.